Google is bringing its fiber service to Austin and it seems half the city is absolutely delerious about it. The other half, however, isn't really sure why 1Gbps is any more special than the various vowel-free Mbps speeds Austin already has. If you're in the first half then you're anxious to know: When can *I* get it? The short answer: not very soon. It was a sad day when Google announced Kansas City, not Austin, would be the first to benefit from the Google Fiber service. Austin was very high in the running and certainly offered no shortage of willing takers but did not measure up when it came to existing infrastructure. Though not perfect, Kansas City topped Austin as KS had plenty of ready-to-use conduit space to carry all the new fiber Google planned to run. Austin would simply have to do with embracing AT&T's semi-new, semi-fiber U-verse service as it expanded north from the first U-verse city, San Antonio. Are you getting your home internet service via Time Warner or U-verse? Those are among the faster Austin options today. Although they can deliver upwards of 70Mbps speeds each service starts at 3Mbps which is fast enough to stream high-quality audio and video. Faster speeds equal faster streaming so there is less chance of waiting for a video to "catch up". Faster speeds also improve delivery of multiple streams so you can watch several videos while recording several more at the same time. If we can already do all that, why all the hoopla about 1Gbps fiber? The hoopla is because we know the chicken is coming! Yes, I said "chicken". As in "chicken and egg" because that's why 1Gpbs matters. The video streaming services we have today are the eggs -- the products -- of the old Time Warner / U-verse chickens. Google is bringing to Austin a new chicken that will eventually produce some new, very exciting eggs that no one has even thought of, yet. At worst Google Fiber is 10 times faster than the fastest home internet service in Austin. At best it is well over 300 times faster than the basic 3Mbps service many Austinites have right now. Imagine how the travel industry would change if Google invented a car that could travel at 18,000 MPH (300 x 60MPH) -- that's 23 times the speed of sound! Such speeds are nearly incomprehensible yet that is the fantastic boost Google Fiber offers over today's basic home internet service. With such an impressive chicken it's easy to see why some are getting so excited about the eggs that will follow. Reality Check: Note that Google Fiber is only one part of the equation. A connection is only as fast as its slowest link -- just because your new Google car can go 23 times the speed of sound it doesn't mean you'll actually travel that fast if all the roads still only accomodate 60MPH speeds. Case in point: NetFlix downloads using Google Fiber service are roughly 75% faster than using Time Warner's service**. That's only a jump to 3.45Mbps rather than the full 1000Mbps that Google Fiber is capable of. The speed boost is nice but Google Fiber is obviously still waiting for the rest of the world to catch up. ** Interesting note: Time Warner has issued a statement that its local news service "Your News Now (YNN)" will be blocked from Google Fiber users. What Are My Chances? Who Gets Google Fiber First?!? 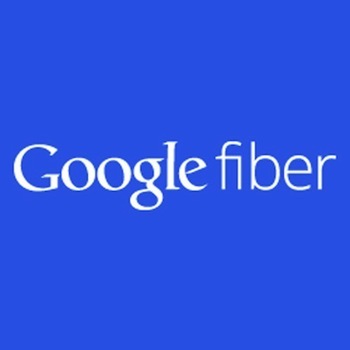 Google and the City of Austin make the decisions, of course, but we can take some educated guesses as to where Google Fiber will likely first appear by considering three core criteria: demand, population density and the availability of dark fiber. Demand. If Google thinks an area doesn't want fiber then Google won't pay to bring it fiber. In Kansas City areas were divided into fiberhoods consisting of 250 to 1500 households. Each fiberhood followed physical boundaries much like regular neighborhoods do. 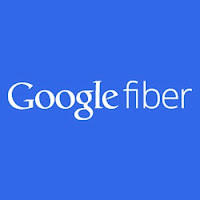 If enough residents of a fiberhood indicated interest then Google added that area to the list of areas to connect. Kansas City residents were given six weeks to respond and indicate their level of interest. Until Google begins an official "show your interest" competition for Austin you can indicate your general interest by adding your street address and signing up for announcements here. Population Density. If demand is equal between two areas, which area do you service first? The area that will be most impacted, of course! For Google this means numbers of households. Densely-packed urban areas will have more sway than less-dense suburbs where homes tend to be more separated as thus require more fiber and more labor to connect the same number of households. Dark Fiber. This one sounds futuristic but is actually pretty basic. "Dark fiber" refers to existing, unused fiber. In other words, cables that are already run but not currently in use. A lot fiber infrastructure was created during the dotcom bubble in the late 1990's. Besides the dotcom bubble fiber, a few lucky areas in Austin were built pre-wired with fiber for the day when service for the masses would finally arrive. Other than politics, dark fiber is the one factor that may trump demand and population density when it comes to deciding who will be the first to get Google Fiber in Austin. This means that, depending on whether Google's plans include service beyond the Austin city limits, residents in Round Rock-based La Frontera and TeraVista developments (both fiber-ready) could see service before many Austin fiberhoods. All that aside, it will take quite some time before anything is rolled out. In Kansas City Google had months of planning in the works before the announcement was made. Perhaps that is true for Austin, but perhaps not. Add months for Google to determine which parts of Austin have the most demand and then many more months for getting clearances and adding fiber where it's needed. Rinse and repeat for each fiberhood. The most telling timeline fact: Kansas City is still waiting for the first of its fiberhoods to be fully connected.